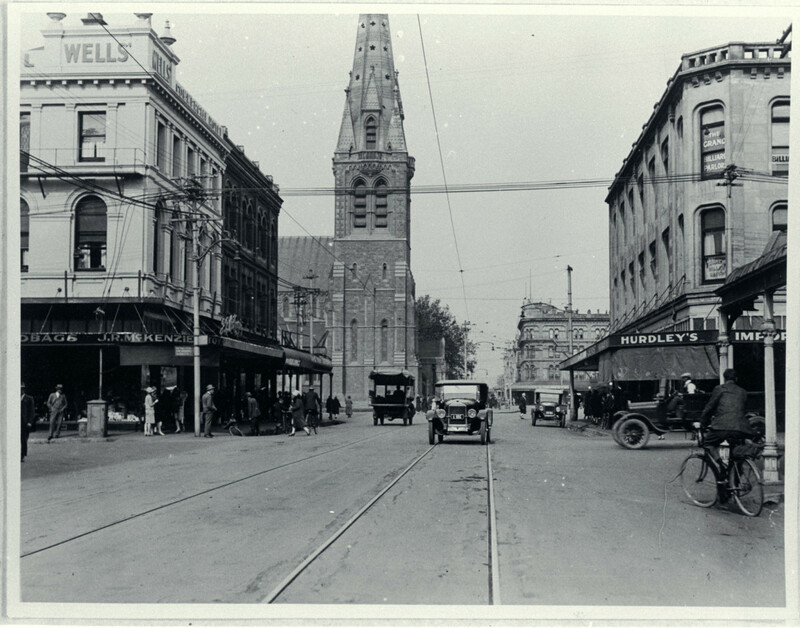 Cars, bicycles, trams and pedestrians in and around Colombo Street between Armagh and Glouscester Streets. 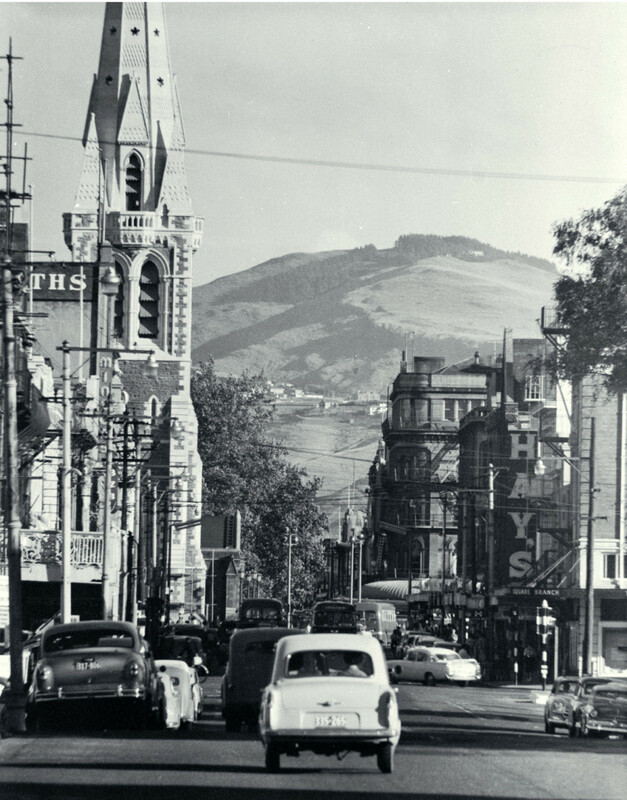 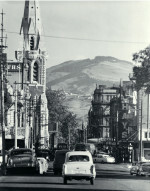 Looking down Colombo Street towards the Port Hills, where the Sign of the Takahe can be seen in distance. 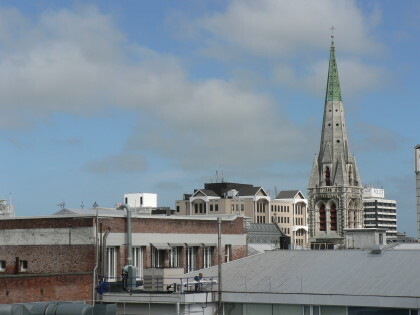 The cathedral is on the left and Hay's Ltd. on the right. 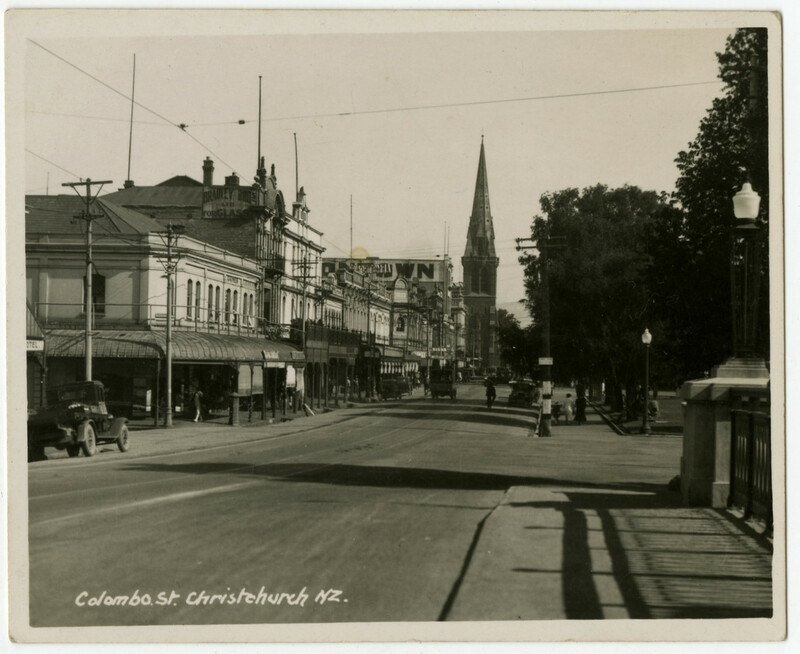 Colombo Street, Christchurch looking south towards Cathedral Square. 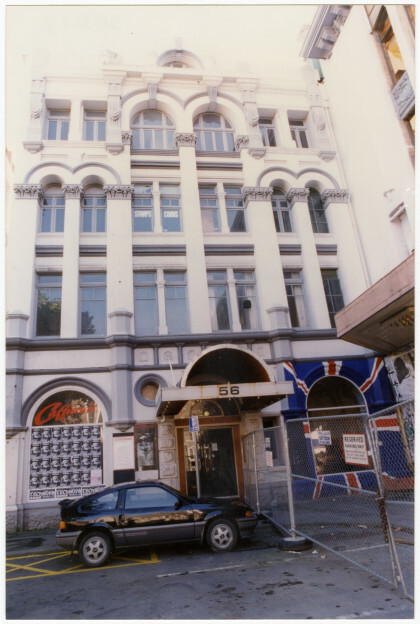 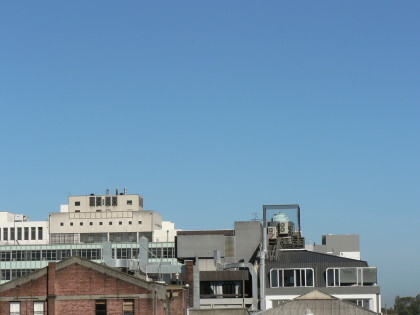 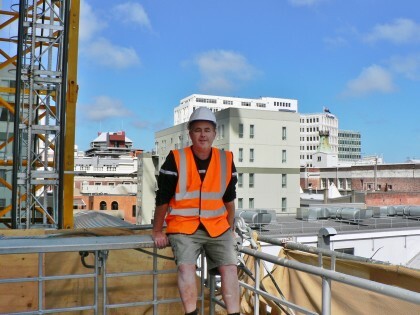 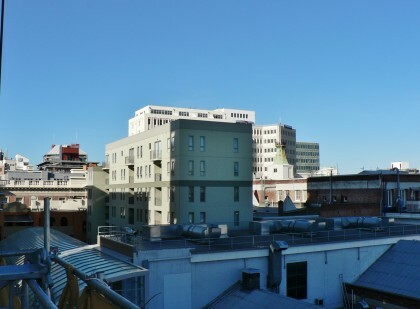 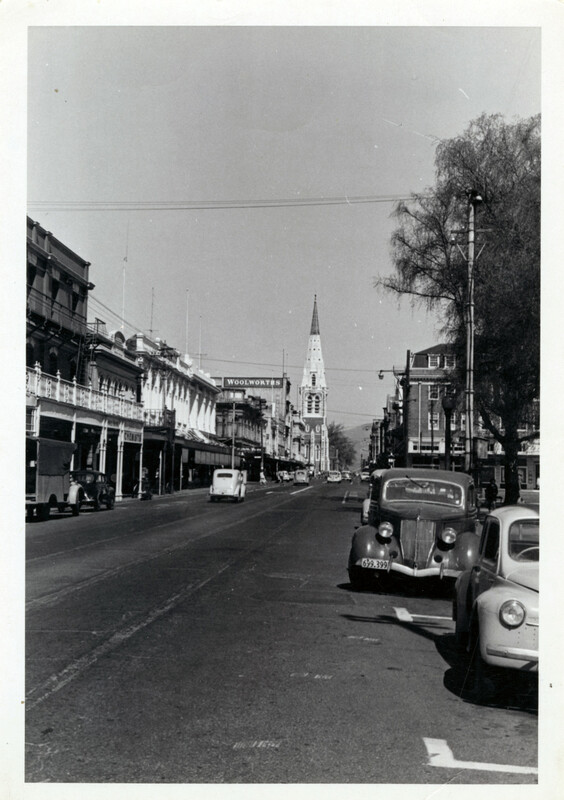 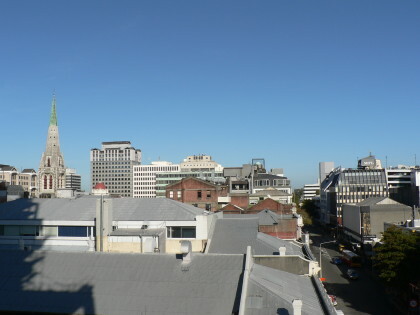 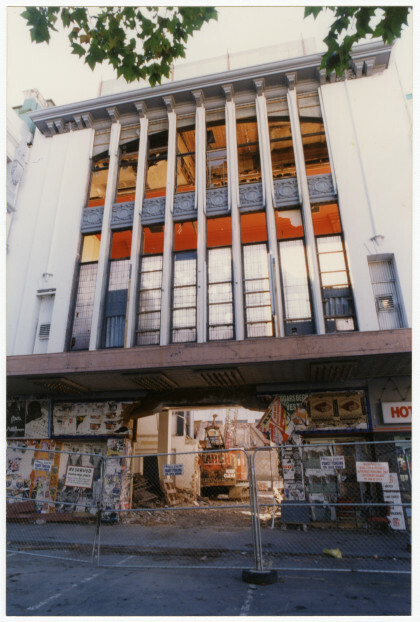 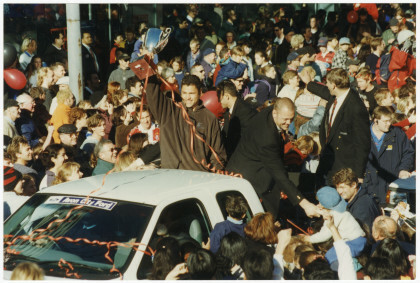 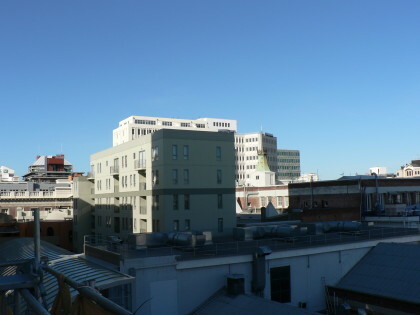 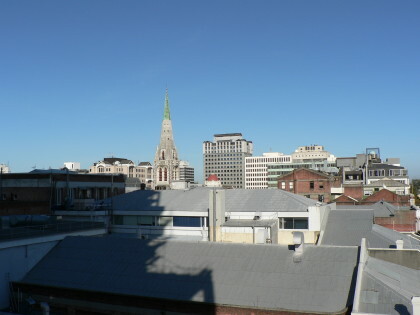 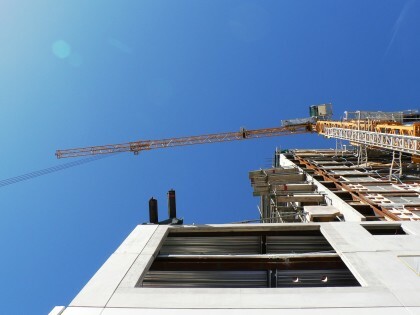 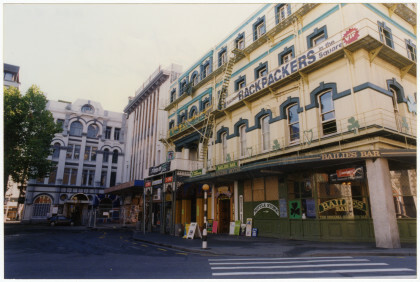 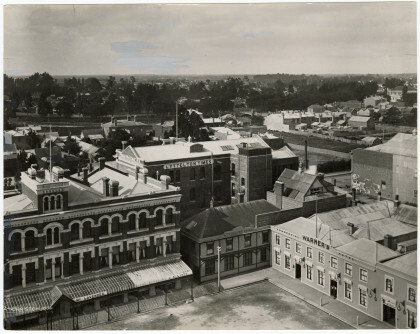 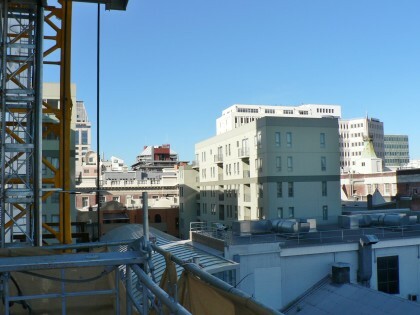 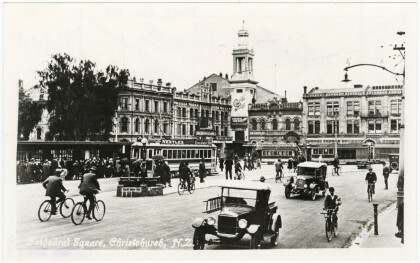 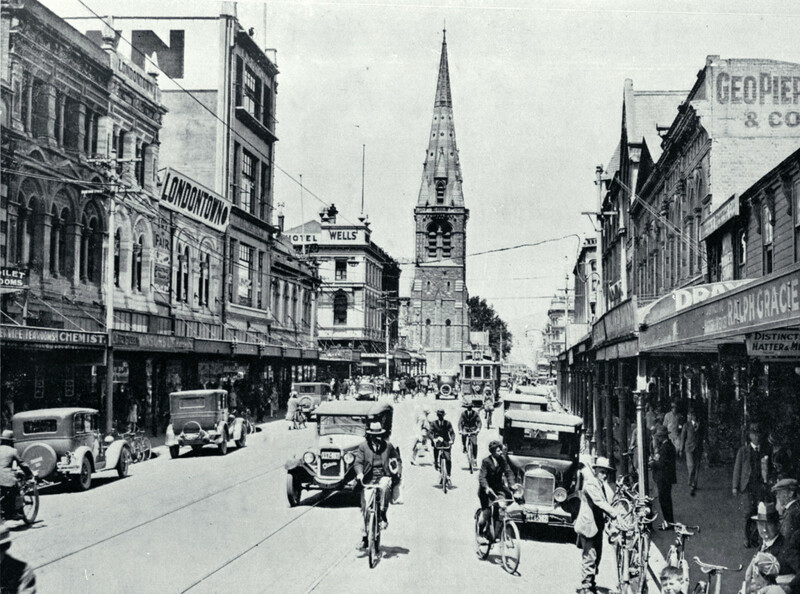 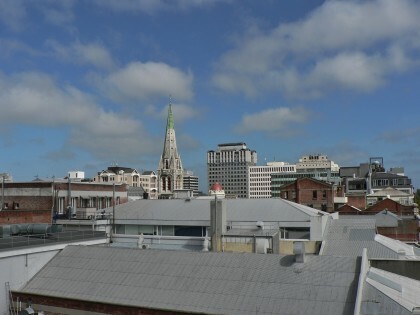 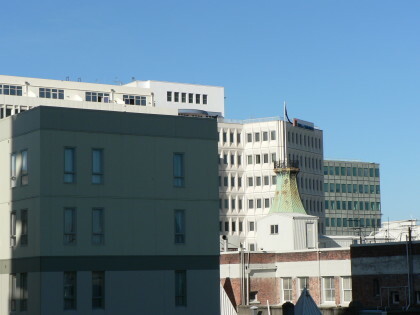 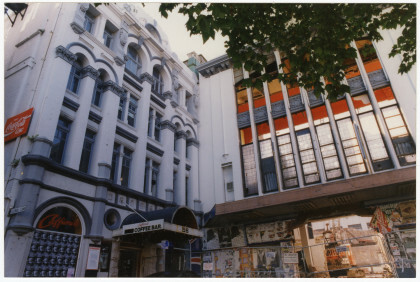 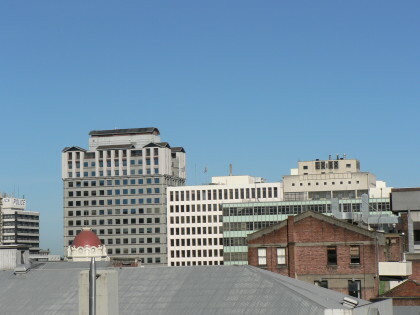 Photo taken from Colombo St bridge, corner of Colombo Street and Oxford Terrace, looking south towards Cathedral Square. 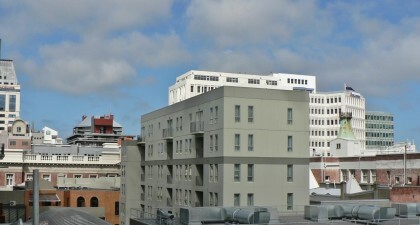 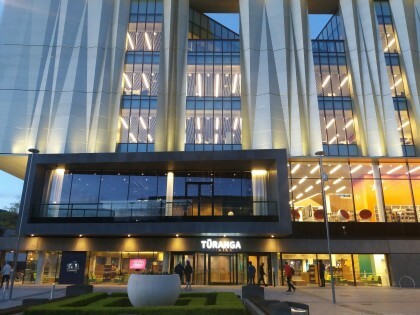 North east corner of Cathedral Square. 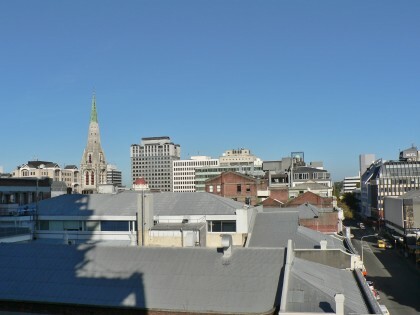 View from above Cathedral Junction, looking southwest. 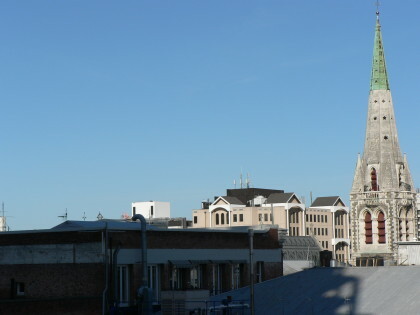 Southward view overlooking the rooftops from Cathedral Junction.